These two are big fans of the Boston Red Sox! Complete with red sox baseball caps and a red sox jersey for the groom, they are truly loyal to the Boston red sox. 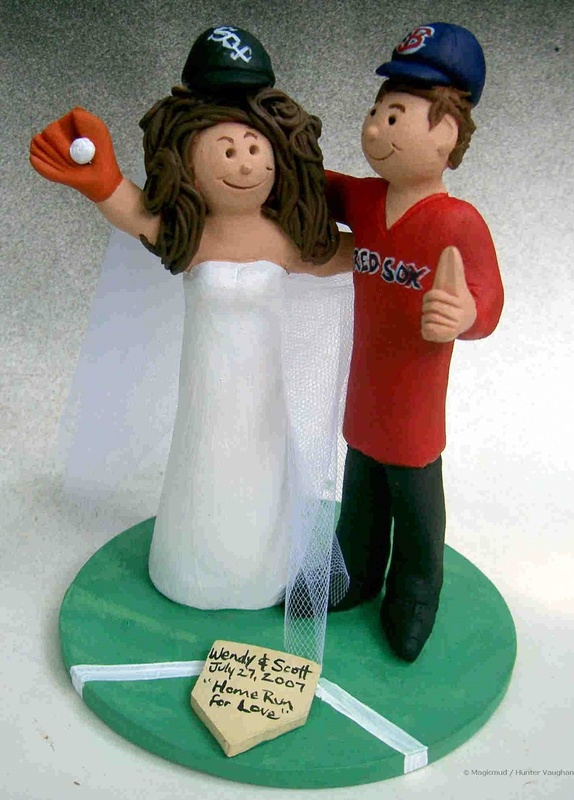 Any favorite sports team can easily be incorporated into a personalized wedding cake topper for you, simply call us toll free at 1-800-231-9814 to order a wedding cake topper for the record books!